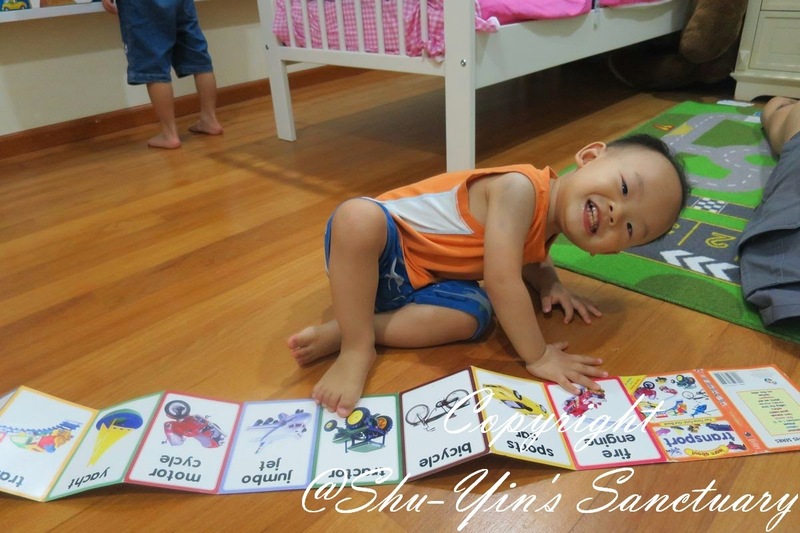 Just like how his brother Shern could identify the different modes of transport, Khye now also knows his transport, from the exact same booklet. Just like his brother, Khye loves vehicles (influenced by his brother perhaps! ), and would always point to vehicles whenever he is seated in his carseat. In this video, Khye can identify the tractor, aeroplane, tipper truck, fire engine, train, bicycle, sports car, motor cycle and yatch! Quite good since I just taught him all these 2 days before. lol. And I guess this really sums up Khye's 20 months update, together with the previous post!